This post is sponsored by Grove Collaborative. All opinions are 100% mine. Affiliate links are included for your convenience. Free Fall Mrs. Meyer’s Set from Grove Collaborative! How do you know when it’s officially fall? 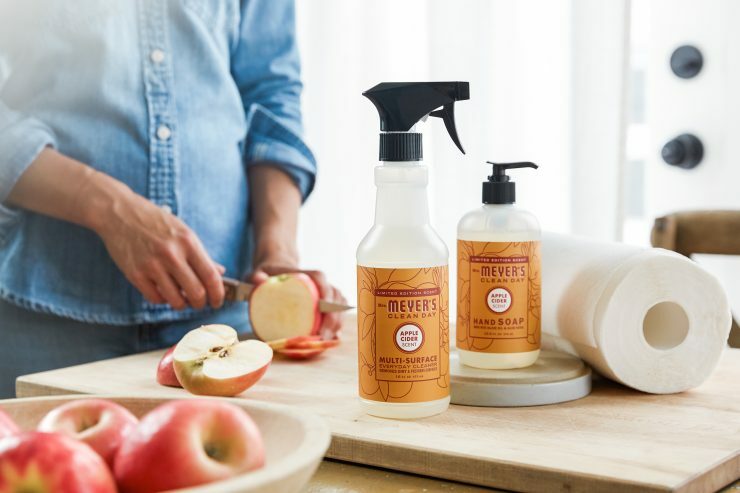 The first day of school, changing leaves, crispness in the air…and the return of Mrs Meyer’s fall scents like mum and apple cider!! One whiff and I’m instantly ready to pull on a cozy sweater, go apple picking, or take a walk on a crisp day. 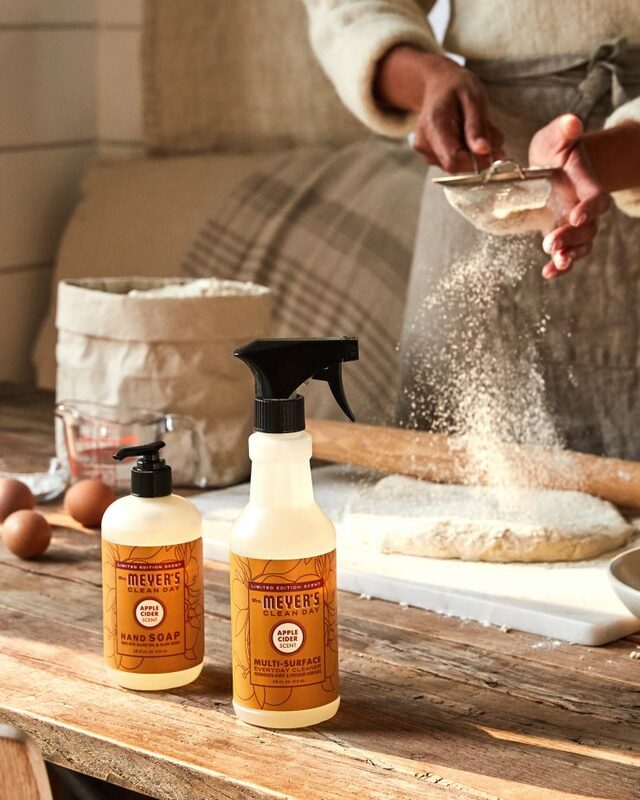 This year, Mrs. Meyers has released a brand new seasonal scent for fall… Pumpkin! It smells exactly how it looks: clean, simple, and cozy. If I close my eyes, I can imagine myself curled up under a blanket next to a crackling bonfire. The toasty scent is distinctly fall — but it smells so good I would be tempted to use it year round! The packaging is spot on, too, like the color of pumpkin pie filling. I also LOVE the Apple Cider scent…it smells just like the apple orchard we go to each fall to pick apples. It’s my favorite, and I love having them right near my kitchen sink. It even makes doing the dishes enjoyable! Now, you can be among the first to try it — for free! 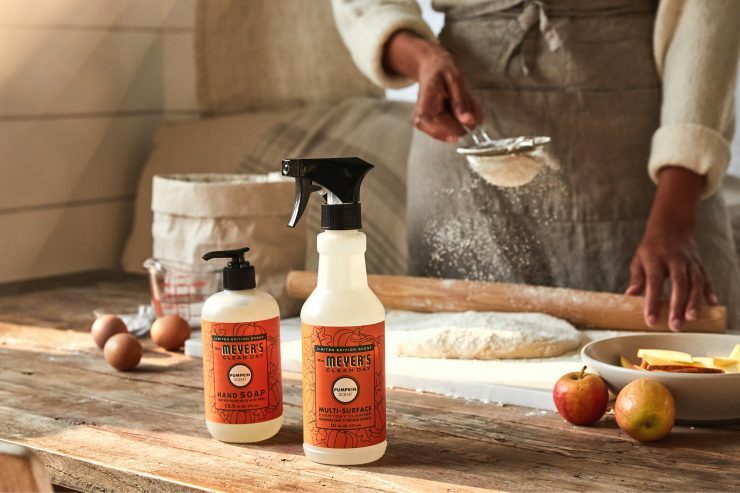 In addition to this free set, Grove has you covered for all your cleaning and organization needs as you head into fall. 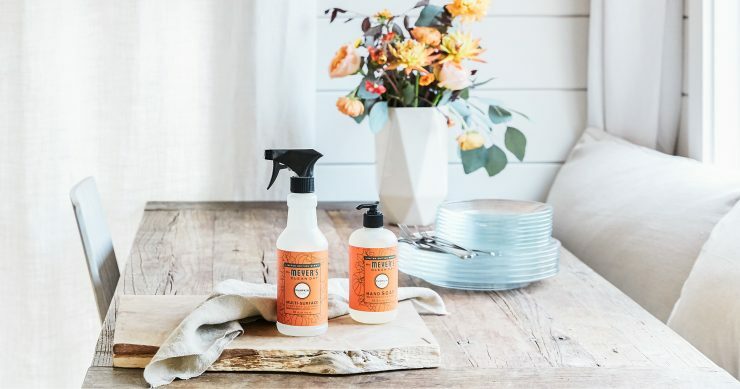 You’ll find an amazing selection of natural household products from brands like Mrs. Meyer’s, Method, and Seventh Generation. 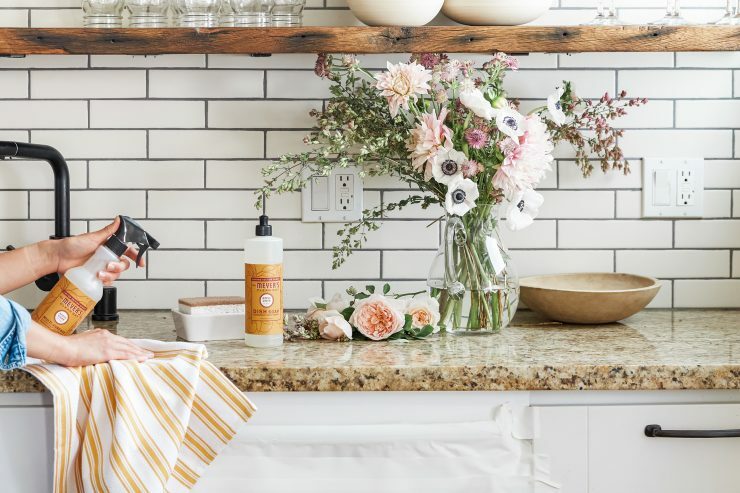 Plus, their house brand is filled with amazing products — I especially love their chef’s towels and soy candles! Sign up for Grove Collaborative HERE! 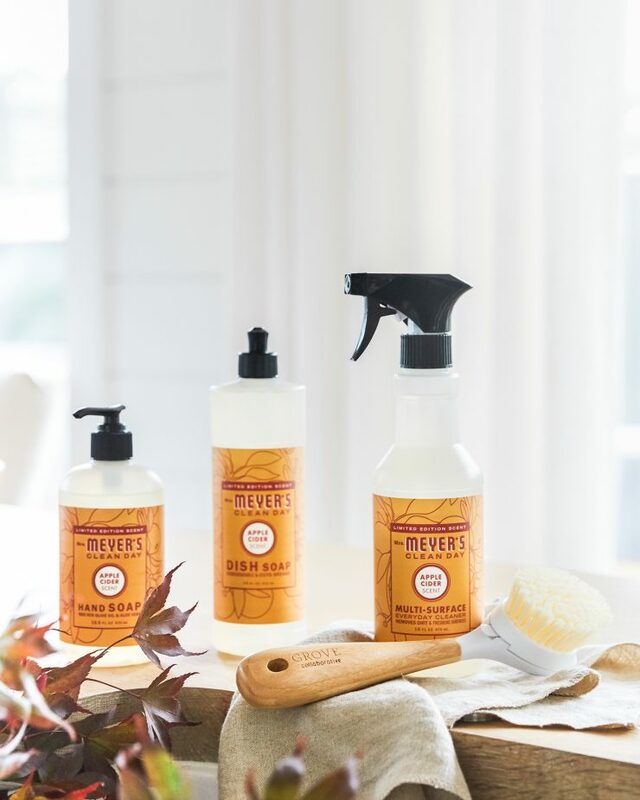 You will receive the Mrs. Meyer’s Fall Set for free when you sign up!